You are here: Home / Events / The Vibrant Festivals Of Mexico – Let Yourself Go! 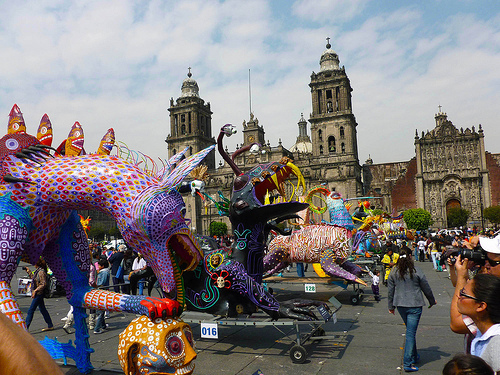 When it comes to festivals, Mexico has something to offer at almost any given time of the year. The splendid mix of music, colorful costumes, fireworks, parades, street theater, laughter and culinary treats take religious, patriotic and cultural celebrations in Mexico to a level that is absolutely impossible to resist! No visitor to Mexico should let go of an opportunity to engage in the essence of these fiestas, and, thankfully, the country’s calendar is jam-packed with several such events. On September 16 every year, Mexico celebrates El Grito de Independencia, or Independence Day. In the year 1810, Father Miguel Hidalgo y Costilla motivated Mexicans to protest against the Spanish-born ruling class and this date marks the outset of the 10-year war for independence with Spain. All across the towns and cities of Mexico, citizens, wearing native attire, gather at midnight on Sept. 15 in their community’s main plaza where the mayor echoes Father Hidalgo’s “grito,” or cry for freedom. Live bands present traditional Mexican music. The merrymaking carries on until 11:00 p.m., when a local government representative, arrives to announce independence. An impressive spectacle of fireworks follows to mark the beginning of El Grito de Independencia. At sunrise on the 16th of September, military and civic processions hit the ground to begin a day of celebration that includes music, fireworks and food – the 3 essential features in any Mexican fiesta. 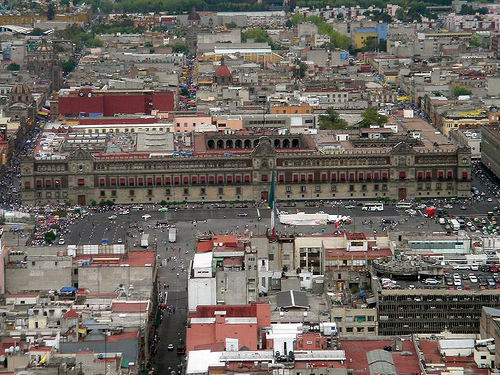 The city plazas, and homes and offices are adorned with the national colors: green, white and red. Food stalls offer a variety of Mexican food and drink items and Vendors sell mementos. The Christmas season kicks off with Las Posadas. Las Posadas refurbishes Mary and Joseph’s search for a room at an inn. The festival begins on December 16, when a man and a woman, acting as Joseph and Mary, head a procession of the Magi, shepherds and children who are dressed as angels. This group of people, portraying itself as the Holy Family arriving in Bethlehem, goes from house to house in search of a room but is staved off until it reaches a designated home where it is welcomed. People assemble for a party, and a doll is left at the home to be picked up by the next night’s participants. The festival goes on each night until Christmas Eve, to be followed by midnight Mass. Just like the Mardi Gras in the U.S., Mexico celebrates Carnaval with loud, noisy parades and displays of merrymaking and entertainment. 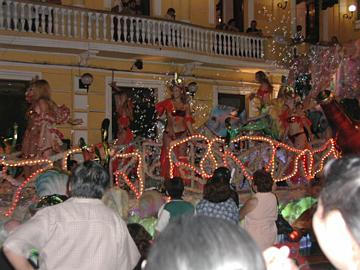 Veracruz, Mazatlan and Cozumel observe the most vigorous pre-Lenten celebrations held in Mexico. Carnaval takes place in early spring on the three days before Ash Wednesday — actual dates change with the liturgical calendar of the Roman Catholic church.The dates of this festival are fluctuating as it is linked to the calendar of the Roman Cotholic church. 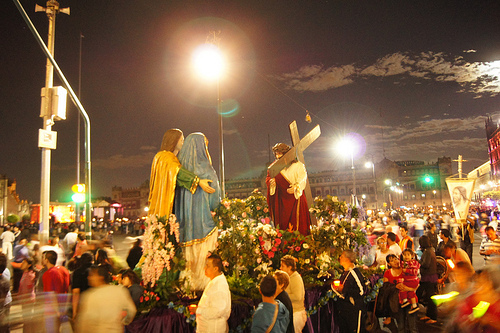 Much of Mexico comes to a standstill during Semana Santa or the Holy Week, in April or early May. From Palm Sunday to Easter Sunday, the country celebrates this symbolic religious holiday with processions, religious parades on Good Friday and Easter Sunday, street theater depicting the last week of Christ’s life, and local exhibitions featuring regional food specialties and crafts. Most businesses are closed during this period and it is during this time that when most Mexicans head to the beaches or mountains for a family vacation. The date shifts with the religious calendar, but if your travel dates falls during Holy Week, it is advisable to make hotel and transportation reservations well in advance. Celebrated on the 12th of October, Dia de la Raza, which literally translates into ‘day of the race’, is a national holiday in Mexico and marks the arrival of Christopher Columbus in North America. Each year, this complicated celebration, aggravates a new round of deep thought, scrutiny and public debate amongst scholars and politicians. This day is also celebrated with large public parades and gatherings. On December 12, throughout Mexico, the Virgen de Guadalupe is revered in parades and church services. As the story goes, in 1531, Our Lady of Guadalupe, the dark-skinned Virgin Mary appeared to Juan Diego, a poor Indian convert to Catholicism, on a hillside near Mexico City. No one trusted him until, after a third appearance of the vision, the image of the Virgin Mary was engraved on his cloak. Regarded as a phenomenal work by the church, Diego’s cloak now hangs in the Basilica de Guadalupe in Mexico City. As Mexico’s patron saint, she is honored with religious festivities in a nationwide holiday that also marks the beginning of the Christmas season.